Thank you for your interest in applying to join the Trader Register of domestic building and home improvement services. In order to consider your application, please provide us with the requested information about you and your business (*) denotes mandatory information that must be completed). 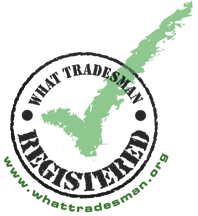 Please select the appropriate trade categories for your business, this information will be used to classify traders and allow consumers to search for registered traders both by trade and geographical area. "New traders who are interested in joining the scheme will be charged a non-refundable application fee of £75 (plus VAT) which will include the first year's membership for those who are accepted into the scheme following the successful completion of background checks by London Borough of Bexley Trading Standards"